Though put in a lighter mood by the author, the fact is true to an extent that much of our income goes under the tax scanner, if we fail to take proper tax saving measures. It starts with the right tax planning so that tax payable minimizes and our savings multiply. These savings not only help us to meet milestone expenses related to children’s higher education & marriage, medical treatment and retirement, but also come to our rescue during the emergencies. Individual resident who is of the age of 60 years or more but below the age of 80 years. Individual resident who is of the age of 80 years or more at any time during the previous year. Surcharge : 10% of the Income Tax, where taxable income is more than Rs. 1 crore. Tax deductions and exemptions come under Sections 80C, 80D and 80CCC. For an individual with a gross income exceeding Rs. 10,00,000, the maximum saving under these sections can be up to Rs. 57,000. Taxpayers should plan all feasible tax saving options at the beginning of the financial year to be able to reap the maximum benefits. However, we mostly see that many people would get busy with tax saving investments at the end of the financial year, when it is time to submit the income tax. Then, it becomes hurried, unplanned decisions, which might not be able to give you the maximum returns. However, in both the cases, it is very important to know the beneficial tax saving options and how much tax you can save through them. This is a part of the salary structure and can be a good tax saving option. Many a times, people tend to ignore this in the absence of rent receipts, which they need to submit to claim HRA, even if they are paying rent. If you do not submit rent receipts, this amount ceases to be tax exempted. However, with proper documents, HRA can help you save taxes under Section 80GG. The exemption of HRA is available to the minimum of 50% of the total income in a metro or 40% of the income in a non-metro, actual rent allowance received by the employer or actual rent minus 10% of salary. LTA is paid to the employee as part of his/her for his/her travel within the country, with or without family. It can be claimed twice in a block of four years. In case, you are not able to submit claims for the block, you can carry forward one journey to the next year block. The actual travel cost of exempted under LTA. This can be claimed by producing tickets as proof of travel. The total limit under this section is Rs 1.50 lakh from Financial year 2014-15 / Assessment Year 2015-16. Before FY 2014-15 the limit was Rs. 1 Lakh. Out of Rs. 1.50 lakh, 0.5 lakh is exempted on investment in pension funds. 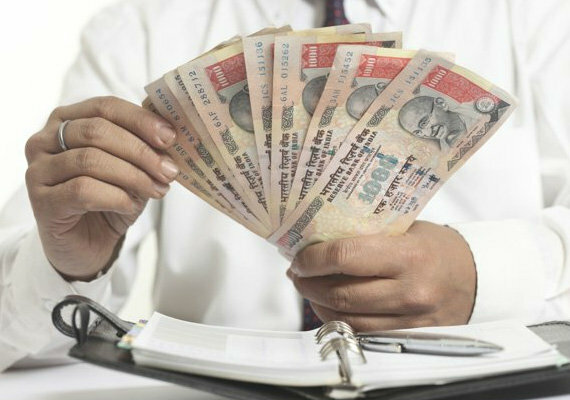 Salaried individuals should reap maximum benefits of tax savings under this section. PF is mandatory deduction from your salary. Both you and your employer contribute to it. While employer’s contribution is exempt from tax, employee’s contribution is counted towards section 80C investments. You also have the option to contribute additional amounts through voluntary contributions (VPF). This is one of the most effective tax saving options. This is a government scheme with an interest rate of 8.7% per annum. Though it has a lock in period of 15 years, but one can get tax free returns at maturity. You can deposit money every month or once in a financial year. The minimum deposit amount is Rs. 500 and the maximum is Rs. 1,50,000 in a year. You can also start withdrawing from 6th financial year. Life Insurance policies are also a tax saving option under Section 80C. The premium paid under life insurance is exempted from tax. A fixed deposit with a period of 5 years is eligible for tax exemption under Section 80C. Interest in this scheme around 9.2% per annum and is compounded quarterly. Maximum investment is up to Rs. 15 lakhs. ‘Sukanya Samridhi Account’ can be opened at any time from the birth of a girl child till she attains the age of 10 years, with a minimum deposit of Rs 1000. A maximum of Rs 1.5 lakh can be deposited during the financial year. Interest on this account is fully exempt from tax in the year of accrual as well as in the year of receipt. Mutual funds not only save taxes, but also generates wealth and capital gains. An Equity Linked Savings Scheme (ELSS) has a lock in period of 3 years and offers a tax deduction up to 1.5 lakh under Section 80C. The dividends declared under the ELSS scheme during the investment period are tax-free. The profits on the sale of ELSS units are treated as long-term capital gains, and are not subject to tax. Sec 80CCC stipulates that an investment in pension funds is eligible for deduction. Maximum deduction available is Rs. 1.50 Lakh. Amount that is deposited is received back as pension on a monthly basis. In case of surrender of policy, amount deposited will be returned back with the interest. Amount received will be taxable for the year in which the amount is received. There are other options as well like Tax Saving Bank FD Schemes (interest rates vary between 8.5% to 9.75% per annum with a lock-in period of 5 years), Unit Linked Insurance Plan (ULIP – returns vary between 5% to 11%, depending on the scheme), National Savings Certificates (NSC- interest rate is 8.5% for 5 years and 8.8% for 10 years). The principal amount of your home loan is also eligible for tax exemption under Section 80C, but here you can save up to Rs. 1.5 lakhs on the interest part separately under Section 24. There are components of your salary, which can help you to save taxes. For example, opting for food coupons instead of lunch allowance, can exempt tax up to Rs. 36,000 per annum. You can also choose to take the company car instead of your own car to reduce taxation. Include medical and transport allowances, telephone and Intenet allowances and education allowances to save as much tax as possible. Section 80C limits the deductions till Rs. 1.5 lakh. However, beyond that you can take advantage of Section 80D and 80CCF. Section 80D allows deductions up to Rs. 15000 for medical insurance for self and dependents and up to Rs. 20,000 for parents over 65 years. Section 80CCF allows deductions up to Rs. 20,000 for infrastructure bonds, but this is yet for valid. The bonus, which is given by the employer is taxable in the financial year in which it is given. But, in case you anticipate that tax rates are going to reduce in the future, you can request your employer to defer the same till the next year. There are many more tax saving options available to salaried employees and they need to know them in properly to be able maximize their savings and minimize their tax returns. Everyone saving is most prior but they don’t know from where they start .. Informative article, without any biased view, unlike other blogs..!! until now i didnt get a chance to know this much clearly regarding Income tax. give some clarity to save Tax in systematic manner. So many option to save tax under section 80C but the limit has not increased more than 1.5 lakh. I think this limit should be revised.